We have a variety of tours available to you which you may wish to add to your Ancestral Townland Experience Tour to enhance your experience. Alternatively you can book these tour by contacting us below and we can assist you in customizing a tour package for you and your family. Discover the heart of Real Ireland with the My Ireland Heritage Team. 1. Dedicated, Knowledgable and Experienced guides. 2. Pick up and drop of at your hotel in luxury vehicle. 4. Explore Irelands hidden gems of the beaten track. The My Ireland Heritage team will tailor make an itinerary which suits your schedule. 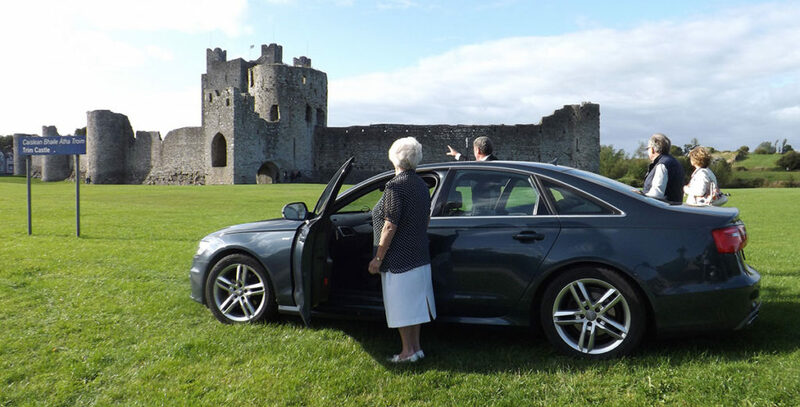 If you are visiting Dublin and surrounding areas such as the Historical County of Meath, Dublin City, Wicklow, Kilkenny, Antrim, Derry, the Cliffs of Moher and the Burren or the Ring of Kerry for a short trip including cruise day excursions why not book your family heritage mini tour. Experience our newly created tour: 9,000 Years of History Day tour. This is a once in a life time Tour which encompasses most facets of Irish Life as your Ancestors knew from the Mesolithic era 7500 years BC to the Famine Period 1845-51 AD. Contact us to book your amazing Irish historic personalized tour today.